Our network can make that a reality, with professional help from friendly people near you. 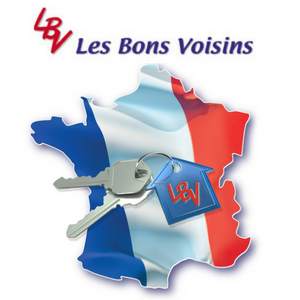 With many years experience and looking after hundreds of properties across France, LES BONS VOISINS are the people you can trust to look after your interests in France when you’re not around. LBV is the first national network of property managers in France, established since 2002. We supply our services through a network of caring individuals and couples, all working to the same high standard and meeting the diverse needs of home owners across France. Our management team and central office provides background support for our network of hardworking property managers and their clients. It really is the best of both worlds: the back-up of a professionally organised network with a wealth of experience plus the personal input from your own ‘neighbours’, ready to use their local knowledge and contacts on your behalf. From removing a hornets’ nest to arranging a new roof, we are on hand in France to help you. Every one of our clients has different needs. The amount of work we do for clients often depends on their country of residence, whether or not they speak French, and whether their home here also serves as a business. Very many thanks for your help in sorting out the gendarmes and locksmith so promptly after our break in. What would we do without you?